And in that single moment, the course of our human existence changed. The sin-filled path we had been dashing headlong down, since that monumental “crunch” as Adam and Eve chomped on the forbidden fruit in the Garden of Eden, came to an abrupt and grisly dead end. 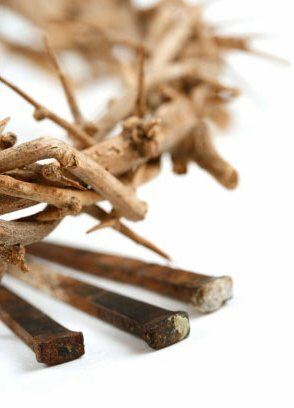 Good Friday gives us a moment to reflect on the sacrifice that Jesus makes for all of creation as he hangs on the cross slowly suffocating until, in John’s account, Jesus dies simply and quietly. Today is not a day to look forward in joyful expectation to Easter morning, as we are sometimes prone to do. Instead it is a day to be quiet; to fast and to pray; and to be still in the knowledge that Jesus will die for us today–with us in the frenzied mob shouting “Crucify him! Crucify him!” And he will do this because he is obedient to God, because he loves us. live and reign, one God, now and for ever. Amen. This entry was posted in The Rev. Matthew R. Hanisian and tagged "Crucify him! ", cross, death, everlasting life, forgiveness, God, Good Friday, Holy Spirit, Holy Week, Jesus, judgement, new life, Original Sin, passion, quiet, sin, sinners. Bookmark the permalink.